Our bookkeeping team provides one-on-one support and advice – every bookkeeping client can pick up the phone any time they need and we will be on hand to listen and provide professional advice. 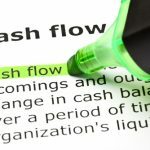 Cash flow is a massive concern for small businesses in Australia. With the current economic downturn, business owners are finding it more difficult to collect from debtors, new customers are harder to come by, and clients are increasingly price-conscious. To succeed in this economic environment, business owners need to consolidate their business and keep a keen eye on their finances. This is only possible if your business keeps clear, in-depth records. 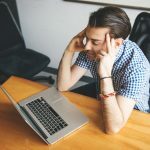 Where many businesses try to cut costs by using a stock-standard bookkeeper with a low hourly rate, this can result in poor business bookkeeping – the negative impacts of which can be severe. When you don’t use a qualified bookkeeper that is supervised by professional accountants, your bookkeeping can fall into disarray. This can even lead to compliance failure, which costs businesses even more money. When your business’ bookkeeping is poor, your entire financial structure (or legal compliance) could be at risk. You won’t be able to accurately forecast profits, losses and cash flow. 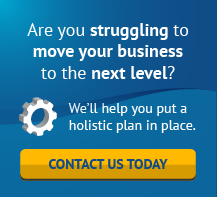 You won’t be able to identify where your business needs financing. You won’t be able to ensure that at the very least the business breaks even, because you won’t even know where your break-even point is. The problems go further. Bad bookkeeping can mean you lack documentation to be approved for loans, your inventory can fall short (or be too big), you can fall into debt through late payments, and you could miss out on tax benefits at the end of the financial year. Bad business bookkeeping essentially means your paperwork is a mess and and you do not have the correct information to make sound decisions. If you cut corners here, you’re cutting your business off at the knees. That’s why you need business bookkeepers that work with professional accountants. What even is a good bookkeeper? Are they fully qualified and experienced? Do they pay attention to detail? 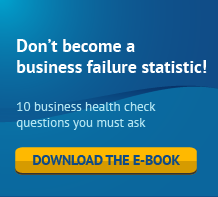 Can you rely on their information to make sound business decisions? Will a qualified accountant approve of their practices? Remember the saying – garbage in, garbage out. Hire a bad bookkeeper and you’ll get bad results. Save yourself the time and stress – use Accountants Australia to take the guesswork out of finding a good business bookkeeper. Stop short-changing yourself with bad bookkeeping, and use someone that understands exactly what you need. A refreshing change from the conveyor belt, one-size-fits-all bookkeeping services of many other companies, Accountants Australia will work with you every step of the way. Our business bookkeepers are highly qualified and trained by CPAs – they don’t just record your financial data, they structure and analyse it in a way that helps your company. Our bookkeepers specialise in MYOB, Xero, Reckon and Quickbooks systems, and get your bookkeeping right the first time. With bad bookkeeping you’ll get bad business activity statements, profit/loss and cash flow forecasts, and you’ll be working with someone that can’t analyse your books to provide advice. That’s just not how we work. The Accountants Australia team provides one-on-one support and advice – every bookkeeping client can pick up the phone any time they need and we will be on hand to listen and provide professional advice. 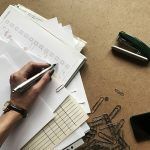 It’s an attention to detail and understanding of your business that you just can’t get with many bookkeeping services. In a fast-paced and competitive business environment, an in-depth understanding of your affairs can be the difference between success and failure. Don’t you want your business to grow? More than just personalised service and attention to detail, at Accountants Australia we give you state-of-the-art bookkeeping software and technology. This means you can access your accounts from the cloud anytime, anywhere in the world. Your accounts will be consistently up-to-date, and our key performance indicator tools mean you can understand your business’ financial health at all times. This lets you make educated, smart business decisions backed with accurate information. If your business has special technological requirements, we will help you find the right associated programs to integrate with your bookkeeping software. With offices in Canning Vale, Perth and Sydney CBD you can be assured that our experience and knowledge will help your business reach its full potential. Our combination of high technological capabilities and a personal, caring approach is something that many accountants fail to replicate. In short, it’s exactly what your business has been looking for. Don’t let substandard service ruin the financial standing of your business. Get your bookkeeping done right the first time, and with our professional and strategic advice, you’ll be running a flawless business.